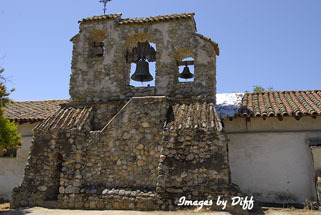 click photo to enlarge San Miguel was founded in 1797 and last time we were here it was closed for earthquake retrofitting. All the California Missions are spaced about a days walk apart. 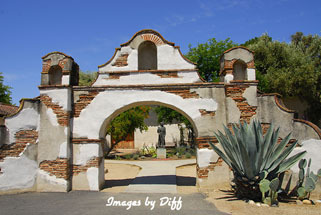 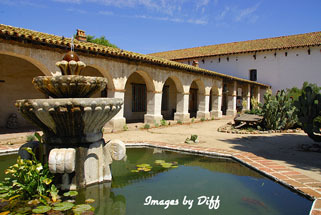 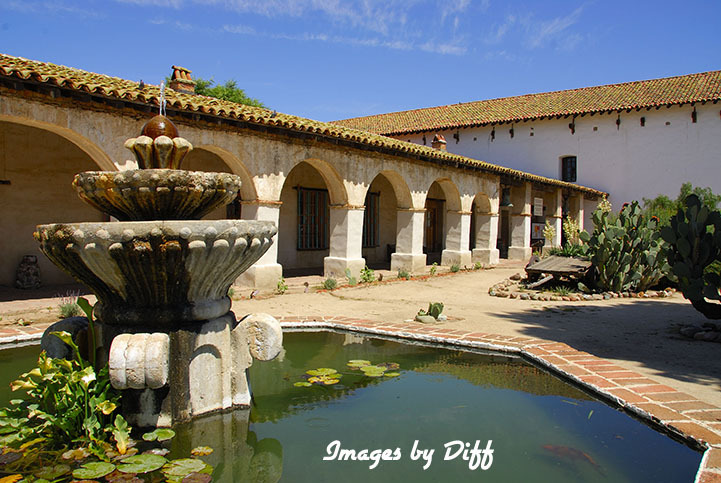 San Miguel was built to fill the gap between Mission San Antonio and Mission San Luis Obispo. 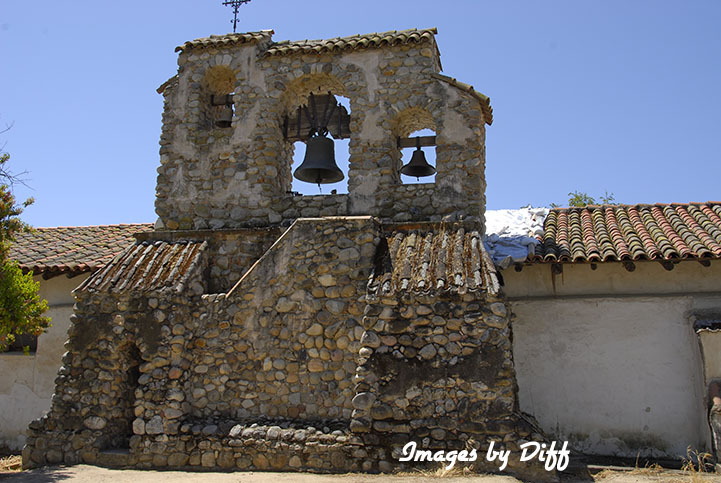 click photo to enlarge On December 22 in 2003 there was a 6.5 earthquake 35 miles from the mission. 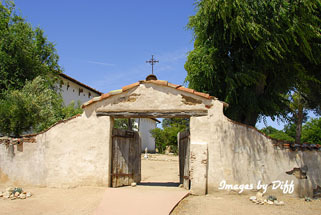 The mission was then rendered off limits to the public. A number of cracks appeared in the missions walls and entire sections of plaster came off exposing the adobe to the elements. 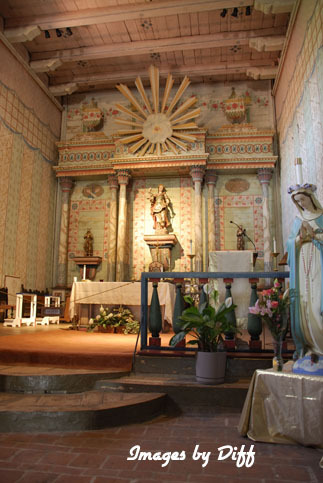 Three years to the day of the earthquake the mission reopened.